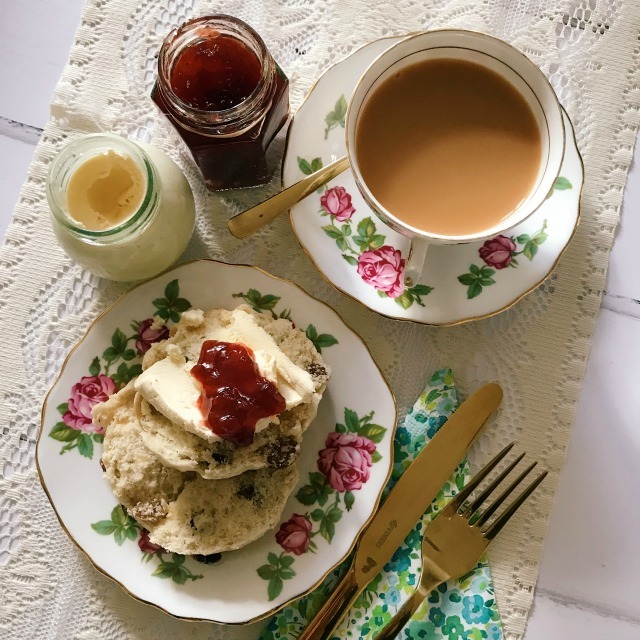 There are lots of things I'm passionate about in life, three of them being good food, supporting local, independent businesses and vintage china - and the subject of today's blog post incorporates all of the above. 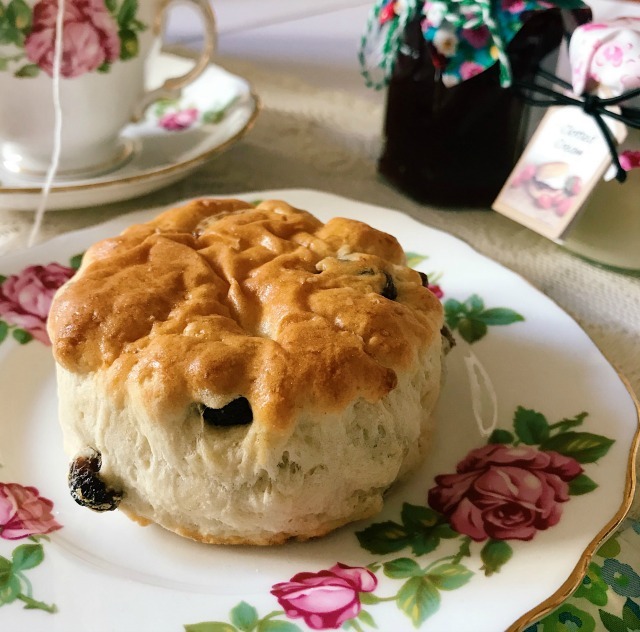 Mrs Jones Tea & China Hire was launched in 2016 by Weybridge mum of two, Gemma Jones. 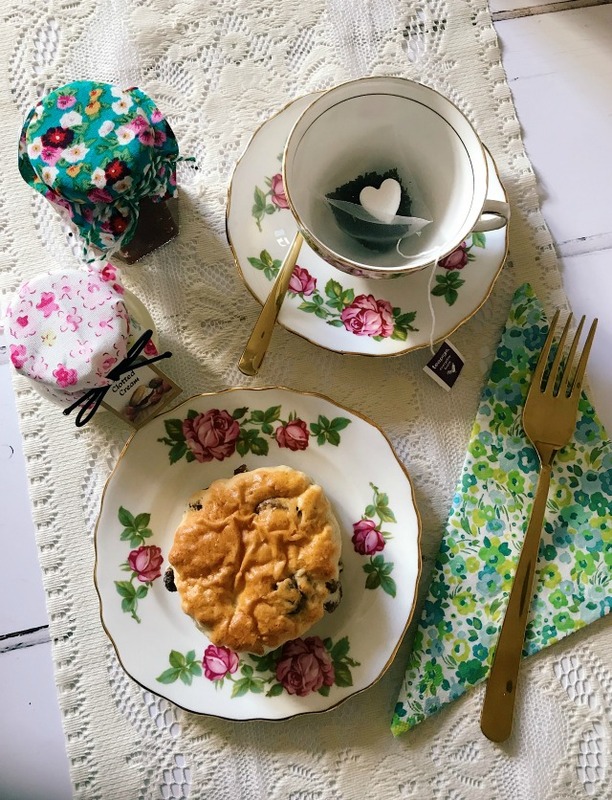 Gemma provides afternoon tea catering and vintage china hire for weddings and other events all over London (and closer to home in Surrey) and now has an amazing Afternoon Tea Box available to purchase over on her website, just in time for Mother's Day. This means that you can still give the gift of a gorgeous afternoon tea to someone special, even if you're unable to take them out for one! Containing a beautiful, hand selected, vintage bone china cup, saucer and tea plate set, along with homemade scones, strawberry jam, clotted cream, tea bags, heart shaped sugar cubes and pretty napkins this really is the perfect present for a tea fan or a vintage lover! Tea for one costs £30, and tea for two is just £40. What a lovely, quirky present - I think it's absolutely perfect for Mother's Day and I'm very honoured and grateful that Gemma chose to gift me one! 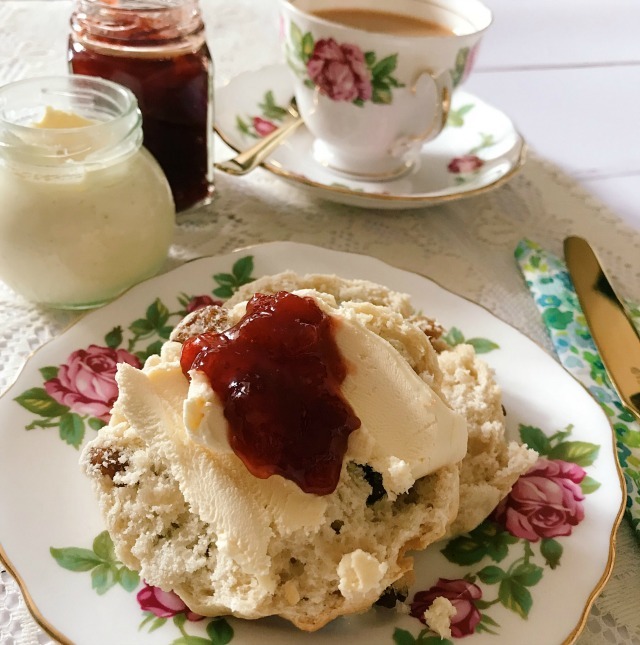 Mrs Jones Tea can deliver afternoon tea boxes locally for free (within three miles of Weybridge, Surrey) on 9th and 10th March. Boxes can also be posted, or couriered, nationwide when ordered before 6th March.